In 1958 when the Preventive Detention Act was passed, there was no justification whatsoever for such a pernicious piece of legislation. It was nothing else but the crown jewel in the premeditated grand design of Kwame Nkrumah to deprive the people of the newly Independent Ghana of their God-given right to freedom. He chose that strategy in order to establish himself as President for Life of Ghana. After the justifiable overthrow of the illegitimate government of Kwame Nkrumah in 1966, hired propagandists have been at their best in proclaiming that the Preventive Detention Act was necessary because of attempts on the life of Kwame Nkrumah. They often assert without any basis in fact that the Act was a response to the bombs thrown at Nkrumah by his political opponents. The truth is that, before the Preventive Detention Act was passed in 1958, there had been no attempt on Kwame Nkrumah’s life and no bomb had been thrown at him. Anything to the contrary is a naked lie fabricated ex post facto to provide a weak justification for the Preventive Detention Act and the great suffering that it unleashed on the people of Ghana. The matter is otherwise simple. Those who assert that the Preventive Detention Act, and the subsequent imprisonment without trial of innocent Ghanaians under the Kwame Nkrumah regime, were the result of bomb attacks earlier on Kwame Nkrumah’s life, must produce the evidence. The pernicious legislation was signed into law on 18th July, 1958, by Sir Arku Korsah, the Chief Justice acting as Governor-General. When and where was a bomb thrown at Kwame Nkrumah or an attempt made on his life prior to the enactment of the Preventive Detention Act on 18th July, 1958? If the allegations are not mere fabrications, we must now document the facts by stating when and where attempts were made on Nkrumah’s life. Indeed, such allegations may be based on the fact that the younger generation may not be conversant with the truth. For the older generations, such a posture is a deliberate distortion of incontrovertible facts of history. At the least they are manifestations of intellectual dishonesty on the part of those who know or can ascertain the truth. In any event, even if there were attempts on Nkrumah’s life, it was not necessary, desirable or prudent to respond by adopting imprisonment without trial. There were the Police and the other security agencies which had proliferated under the Nkrumah regime. The accused persons could have been properly arraigned before the courts on appropriate charges to face the rigours of the law. That was what was done to those suspected of complicity in the Kulungugu bomb attack in 1962. In 1958, Messrs. R.R. Amponsah and M. K. Apaloo and one Major Ahwaitey were arrested on charges of suspected subversion. There was no evidence of an attempted coup d’etat or of any concrete steps to overthrow the government of Kwame Nkrumah. All that was found on them was a Sam Brown belt associated with officers of the military rank. A Commission of Enquiry into their arrest came out with a 2 to 1 opinion that they might have contemplated an act of violence at some future date. The projected date was not identified or suggested. The two who arrived at this conclusion were the two Ghanaian members of the Commission. The third member, Mr. Justice Granville Sharp, J.A., an expatriate Judge, found nothing incriminating. Indeed, if there were any evidence of criminality, Messrs. R. R. Amponsah and M.K. Apaloo and Major Ahwaitey could have been arraigned before the regular courts on charges of subversion where they would have been afforded the opportunity to protest their innocence. The obvious conclusion was that the evidence was not sufficient to sustain a prosecution. The popular belief at the time was that Messrs. R.R. Amponsah and M. K. Apaloo were deliberately lured by the Military Intelligence through fake invitations to meet Major Ahwaitey at the T Junction on the way to Tema, in order to incriminate them. No credible evidence emerged to contradict this popular view. Therefore, rather than arraign them before the courts, the three suspects were detained under the new Preventive Detention Act in 1958. That they were detained under the Act, instead of being prosecuted on charges in the courts, demonstrates that the Preventive Detention Act predates even the alleged activities of Amponsah, Apaloo and Ahwaitey. The failed Kulungugu bomb attack on President Nkrumah is often cited as the justification for the introduction of the Preventive Detention Act. This is sheer intellectual dishonesty. In August 1962, a bomb was detonated at a function for the reception of President Nkrumah at Kulungugu in what is now Upper West Region. That regrettable event occurred about four years after the enactment of the Preventive Detention Act of 1958. It is sheer hypocrisy and perhaps naked intellectual dishonesty to argue that the event of 1962 was a causative factor in the decision of Nkrumah to clamp such a noxious legislation on the otherwise peace-loving people of Ghana. Whatever the rational basis for Nkrumah’s ill-advised decision to have recourse to the arbitrary power of imprisonment without trial in 1958, it cannot be connected with the Kulungugu bomb attempt on him in 1962. It defies commonsense and simple logic. The attempt or effort to establish such a nebulous causal effect is as ridiculous as it is puerile. There was a long time lag of four years between the passage of the Preventive Detention Act and the Kulungugu event of 1962. The people of Ghana have the collective wisdom to appreciate the hollowness of such a claim. The reference to the Kulungugu bomb attempt on Nkrumah is itself susceptible of different possible interpretations. The first analytical issue is one of cause and effect. It has been argued with plausible effect that it can be said that the Preventive Detention Act precipitated the Kulungugu bomb attack, rather than that the bomb attack was the impetus for the passage of that repressive law. I have already dismissed the infantile suggestion that the Act was passed in response to the Kulungugu bomb attack, because the Act had been operational for about four years prior to the bomb incident. What about the suggestion that the suffocating effect of the Preventive Detention Act could have provided the impetus for the bomb attack at Kulungugu in 1962? Nobody, not even one of those directly accused of participation in the Kulungugu bomb incident, has offered any explanation, a reason or motive, for the attack. Any deductions from the event must, therefore, be based on the inferences from logic and human behaviour. A possible explanation is that the bomb attack was an attempt to physically eliminate the Dictator, Kwame Nkrumah, from the political scene. By having recourse to the Preventive Detention Act, Kwame Nkrumah had emasculated the opposition and silenced dissenting voices from even his own Party, the Convention People’s Party. The avenues for political change through the ballot box had been foreclosed by the indiscriminate use of the Preventive Detention Act to imprison all those who had any reason to question the programmes and policies of Nkrumah. History has shown that in all societies, when the people are denied the voice to state their views and when political dissent is treated as a criminal act, the people eventually rise up to change their leaders though the recourse to unconstitutional and even violent means. In the atmosphere of repression clamped on Ghana in 1962, any person who desired political change could be tempted to apply unconstitutional means to change Nkrumah’s government. That was precisely the situation wittingly or unwittingly created by Kwame Nkrumah himself. In 1962, it was clear to everybody, to event the unlettered casual observer, that Kwame Nkrumah could not be removed from power except through unconstitutional means. At this time Nkrumah had also had a firm grip on the Armed Forces and had an array of both regular and unorthodox security agencies for his personal protection. Indeed in his own perception, the State was synonymous with the person of Kwame Nkrumah who had by then assumed the self-style of “Osagyefo.” The security agencies included a privileged and well-provisioned praetorian guard known as the Presidential Detail Department, who reportedly were far better endowed with logistics, materiel and ammunitions far exceeding those conceded to the regular Armed Forces. The personal security services were structured, advised and controlled by experts from the erstwhile Soviet bloc with acclaimed experience in repressive measures and torture. 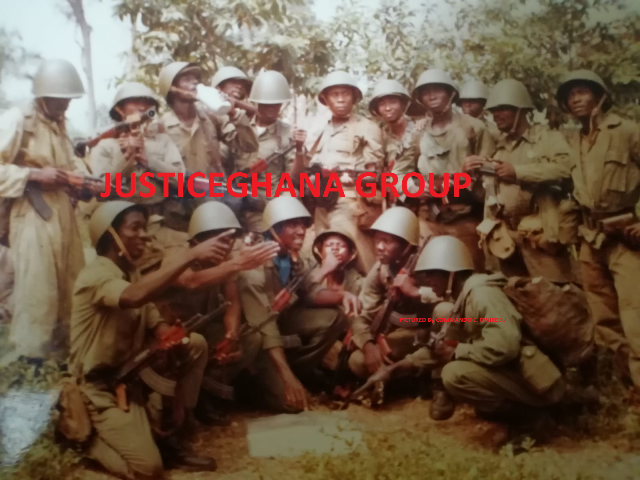 Such was the position that in a confrontation between the regular forces and Nkrumah’s special security forces, the regular forces would have been easily out-gunned by the security forces, if Nkrumah himself were in the country to assume command. As it turned out, when the coup d’etat occurred on February 24, 1966, Nkrumah was far away in Beijing, China, en route to Hanoi. And he had no Vice-President but only a defused three-man Presidential Commission which could not be mobilised to offer the anticipated resistance to the coup plotters. Confronted with this situation, it is not inconceivable that the disgruntled members of the society could have settled on a bomb attack to eliminate President Nkrumah and thus force an end to his repressive rule. The bomb plotters would not have to contend with the Armed Forces, or with the dreaded Presidential Detail Department, or the Soviet and Cuban trained irregular security agencies established by Nkrumah with public funds. Whether the conspirators were from the muzzled opposition groups or from Nkrumah’s own Convention People’s Party would not matter much for the purpose of this analysis. The common goal would have been to force political change which was no longer possible through the ballot box. In making this analysis, we must also remember that the Nkrumah regime had refused to hold General Elections to answer to the people for the five year rule. The last General Elections were grudgingly held in 1956 prior to Independence in 1957. Under the Constitution, even the imperfect Constitution of 1957, there should have been a General Election in 1961, which is after five years. Nkrumah rejected the idea of a General Election. He alone concluded that, because his bogus 1960 Constitution had been approved in a sham referendum in 1960, there was no need to hold a General Election. At the time of that referendum almost all opposition leaders were in prison without trial or in exile, and Dr. J.B. Danquah, the proverbial lone wolf, was not permitted to canvass against the constitutional proposals. At the time of the 1962 Kulungugu bomb, therefore, it was doubtful if there would ever be another General Election to seek the mandate of the people even in such a constrained atmosphere of fear and intimidation. Those who desired change, therefore, were likely to adopt a violent means, such as the detonation of a bomb, to achieve a political objective. Whether this conjecture is true or false, it makes more sense than to assert that the 1962 bomb attempt was the justification for the enactment four years earlier of the repressive Preventive Detention Act which had been used to terrorise the population of Ghana. There is another plausible angle to the analysis of the factors leading to the Kulungugu bomb attack on Nkrumah in 1962.It could be the classic example of a dictator singing the familiar refrain of “Save me from my friends. My enemies I can take care of.” By 1962, Nkrumah had no real fear of his political opponents whom he appeared to conceptualise as enemies. All the leading members of the identifiable groups, save a few, were locked up in prison without trial on Nkrumah’s orders under the Preventive Detention Act. These included, of course, Baffour Osei Akoto, R.R. Amponsah, M.K. Apaloo, Joe Appiah and S.G. Antor, to mention only a few. Dr. J. B. Danquah himself had, by this time, been in and out of detention. The other political leaders, including Prof. Kofi Abrefa Busia, had fled the country to escape arrest and imprisonment without trial. Therefore, those whom Nkrumah had to fear were the members, especially the leaders, of his own Convention People’s Party. They were the party members and functionaries who felt badly the suffocating atmosphere of the reign of terror and the lack of opportunities for political expression. Of all people at that time, the disaffected members of Nkrumah’s own party were the most suspect class of persons who would encompass the physical elimination of the entrenched dictator. The events of Kulungugu lend support to this theory. As it transpired, those who were identified as the linchpins in the bomb episode were leading members of Nkrumah’s own political party, the Convention People’s Party. They were frustrated that the Party had become intolerant, to such an extent that even internal disagreements were not permitted. The word of the self-styled “Osagyefo” Kwame Nkrumah was law and no discussion was countenanced even within the party circles. There was no chance for political change, even change that could have retained the undeserved supremacy of the Convention People’s Party. It was possibly from the ranks of these internal dissidents that the plotters of the Kulungugu incident were apparently drawn. Nkrumah himself did not disguise his belief that it was his own party stalwarts who had masterminded the Kulungugu bomb attack on him in 1962. Leading the pack were Messrs. Tawia Adamafio, Ako Adjei and H H. Cofie-Crabbe. They were prosecuted in court along with others. When the three were acquitted, Nkrumah by legislation nullified the proceedings and ordered a retrial with a jury drawn exclusively from the Kwame Nkrumah Ideological Institute. The second trial found all three party leaders guilty as charged. Of these three, none was a member of the opposition groups or parties. Mr. Tawia Adamafio was a prominent and influential member of Nkrumah’s Convention People’s Party. He rose to become General Secretary of the Party and was also designated Ambassador Extraordinary and Minister Plenipotentiary. Mr. Ako Adjei was Nkrumah’s Minister of Foreign Affairs at the material time. It was he who had originally recommended Kwame Nkrumah for the position of the General Secretary of the old United Gold Coast Convention. He had been a friend and colleague of Nkrumah during their student days in the United States of America. The bond between them was strong. The other member of the “gang of three” was Mr. H.H. Cofie-Crabbe. He was a close confidante of Kwame Nkrumah and was highly placed in the party hierarchy. He was at the time of Kulungugu the appointed Mayor of Accra and had the political clout almost equivalent to that of a Cabinet Minister. These were the type of people who had their gripe against the party and the government style of Nkrumah. Kwame Nkrumah had declared himself Life Chairman of the Party. This meant that no other person could be elected to lead the Convention People’s Party for as long as Nkrumah was alive. There was not even a Vice-President of the Convention People’s Party, for fear that a popular member could scheme to replace Nkrumah as leader. The same style was transposed to the structure of government under Nkrumah. There was no Vice-President of Ghana who could deputise for Nkrumah in the event of absence from Ghana or physical or mental infirmity. Persons who were caught in this kind of web could easily be predisposed to challenge the existing structure and to resort to extra-legal and unconstitutional means to induce a change. The “gang of three” would want to open up their party to electoral processes for the emergence of new leadership, a process that had been precluded by Nkrumah’s position as Life Chairman. They and others may also have been concerned about the incipient One-Party dictatorship that Nkrumah was imposing on the country. Not only the “gang of three” but other high government officials felt very insecure in their positions and jobs, as they could be removed at any time according to the predilections of the moment by the “Osagyefo” Kwame Nkrumah. Even unsubstantiated rumours and innuendos by tale–bearers could cost one’s job, since there was no proper investigation or confrontation to offer an explanation. In many cases, public appointees were not notified of their removal from office until they heard it on the one o’clock news of Radio Ghana. It was a popular saying at that time that Cabinet Ministers and other high government officials did not eat their lunch until they had listened to the afternoon news. Nkrumah did not pay much attention to the disaffected members of his own party. He devoted his energies to the arrest and imprisonment without trial of the rather innocent members of the decimated opposition. He wrongly believed that he had securely taken care of the opposition who were his perceived enemies. He had to cry later that he should be saved from his friends rather than from his enemies. This section may be concluded in the same way that it began. The suggestion that the Preventive Detention Act of 1958 was enacted in response to attempts on the life of Kwame Nkrumah is a palpable lie. It is a baseless fabrication. The Kulungugu bomb attack occurred four years after the passage of the Act and cannot be the reason for it. These are demonstrable and verifiable facts. Assuming arguendo, but without admitting, that there had been bomb attacks or other attempts on the life of Prime Minister Kwame Nkrumah in 1957 or early 1958, that was not a sufficient justification for wielding the arbitrary power of imprisonment without trial of Ghanaians. It is to prevent such malevolence by miscreants that the police and other security agencies had been established and were paid for by the tax payers of this Nation. Furthermore, the regular courts have always been available. Persons accused of such serious infractions of the law must be given a fair trial where they will be allowed to mount their defence with the assistance of lawyers of their choice. To make President Nkrumah the accuser, the complainant and the judge in his own cause is inconsistent with even the elementary principles of democracy and the rule of law. It turned the rule of law into the rule of one person. That was the slippery path to repression and dictatorship into which Ghana descended very fast under the rule of Kwame Nkrumah. Furthermore, the facts show that those who plotted his physical elimination were leading members of Nkrumah’s own ruling party who may have become disenchanted with his incipient dictatorship. The dissatisfaction emerged within the Party itself and within the corridors of government. Although other small fry of questionable political allegiance were mentioned in the Kulungugu plot and other minor incidents, the major plotters for the overthrow of Nkrumah did not, on the hard evidence, emanate from the ranks of the opposition. They came from within Nkrumah’s own Convention People’s Party, the ruling party of the day which was rapidly being transformed into the only lawful Party of the contemplated One-Party state.